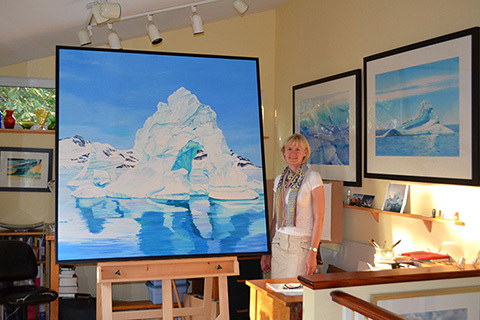 Acrylic paint is not my medium but, when my brother and his wife wanted a large iceberg painting for their new home, I accepted the challenge. 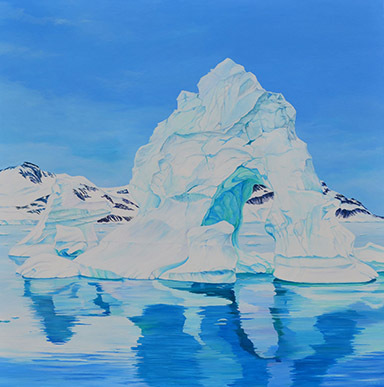 The painting is based on photographs they took on a trip to Antarctica. Moving into a new medium on such a large scale involved considerable experimentation and trial and error. The project spanned many weeks. 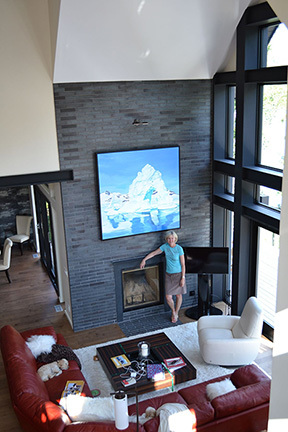 The resulting painting “ Southern Majesty” measures 5' x 5' and was transported to its new home on the roof of our van!